In a report this week, Brazilian magazine Veja cited court documents suggesting the former Pemex CEO allegedly requested a $5 million illegal payment to Odebrecht, Latin America’s biggest construction company, to obtain benefits in Mexico. Veja says it based its reporting on portions of a plea-bargain agreement between prosecutors and a former top executive at Odebrecht. The allegations are part of a three-year, sweeping corruption probe in Brazil known as Operation Carwash. In the email, Lozoya said he doesn’t know the Odebrecht executive named by Veja and didn’t participate in any meeting with him. Pemex’s press office declined to comment on Veja’s report about Lozoya, who ran the state-owned oil producer from December 2012 to February 2016. On April 4, the Mexico City-based company said it’s committed to cooperating in the Odebrecht case. 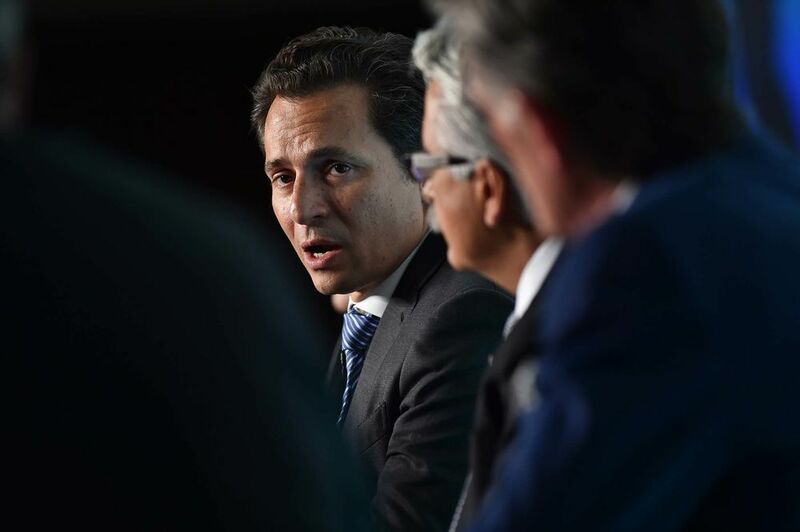 The Mexican company also said April 5 that current and former Pemex employees will be called to testify as part of an investigation into four contracts awarded to Odebrecht and its affiliate, the petrochemicals maker Braskem SA, between 2010 and 2015.